The developement of jet engines by Junkers was initiated in 1936, when Prof. Wagner joint Junkers Flugzeugwerke. Wagner established a special jet engine developement group under the management of Adolf Mueller at the Magdeburger Werkzeugmaschinenfabrik, which just had been taken over by Junkers Flugzeugwerke. Contrarary to Heinkel, Wagner followed the Approach for an axial gas turbine engine instead of the centrifugal Approach of von Ohain. In sofar the Magdeburg engine was an elementary prework for the later Jumo 004 and BMW 003 engines. The development on the Magdeburg Jet Engine was performed under the Designator Junkers RTO (RTO= Rueckstoss Turbine). 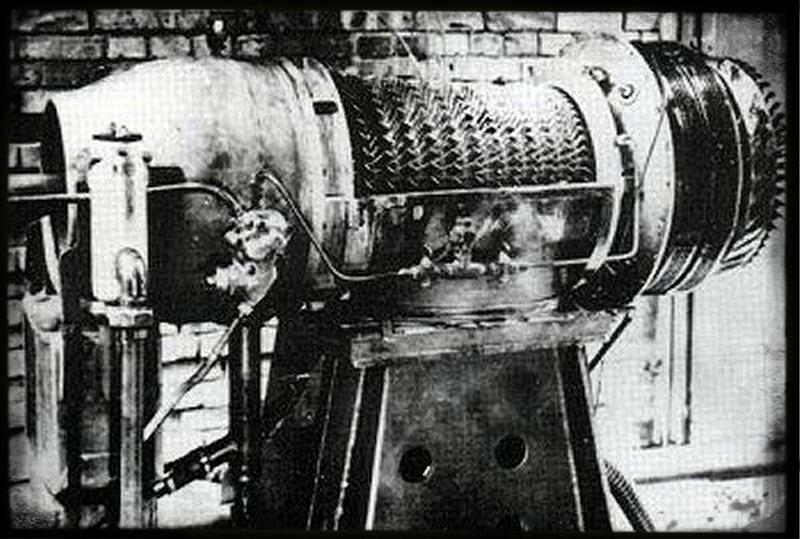 In the beginning 1939 the first Junkers Jet engine was ready for static tests. Following an official order of the RLM for a jet engine developement in July 1939 the Magdeburg developement was stopped and transfered to the Otto-Mader Entwicklungswerk at Dessau on request of the RLM. At the same time, Mueller left Junkers Flugzeugwerke and joint Heinkel. At Heinkel he continued the Magdeburg developement under the RLM designator 109-006, which in some sources is also referenced as Jumo 006 by mistake. The 109-006 later became the He S30 engine. Even if it looks as if the Magdeburg Jet Engine a forrunner of the Jumo 004, the Jumo 004 is mostly an independent developement just picking up the axial design of the Magdeburg engine. The Jumo 004 was started at Dessau and Mueller and most of the Magdeburg left Junkers at that time. Therefore a lot of knowhow, gained from the Magdeburg engine, was lost and had to be reinvented for the Jumo 004 developement.